We offer a full line of disc pads for heavy duty trucks for both foreign and domestic applications. These brake pads are made by Frenosa and are molded semi-metallic material. They have excellent fade resistance. Frenosa is an OE supplier and leading supplier to world markets. We are a full line distributor for Lucas Oil. A world leader in Heavy Duty and High Performance lubricants. 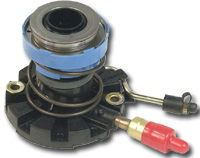 The oil stablizer helps worn engines, extends oil life and will not void new car warranties. And more impressive blends with all petroleum and synthetic oils. We can make a trial kit out to your liking so you can see what all the buzz is about. Is a big reason for clutch failure in late model cars and trucks. 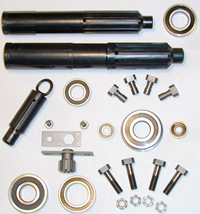 We carry a large inventory of foreign and domestic master and slave clutch hydraulics. HR always stress the importance of doing the job right the first time. That means resurfacing the flywheel which is done on premises most times while you wait. Don't forget to use a flywheel shim especially in hydraulic applications. 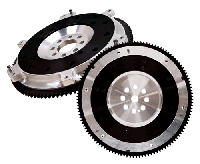 We are always increasing our ever growing line of new and reground flywheels for cars, light trucks up to heavy duty trucks ie Mack, Kenworth etc. We stock the Ford 7.3L retrofit clutch kit that includes a standard flywheel which replaces the problematic Dual Mass flywheel designed to resolve warranty related issues. We also have a full line of pressure plate and flywheel bolts to complete the job. Flywheel starter gears are always inspected before resurfacing. We have a large inventory and replace them on site. Save money and install yourself . In some cases the old starter gear can just be flipped saving even more money. 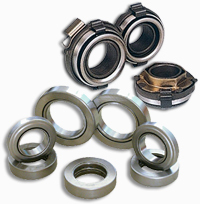 Bearings Clutch release bearings and pilot bearings are in stock and can be sold separately or as part of a clutch kit. We use only OEM designed bearings BCA, Aetna, Valeo etc insuring long life and problem free miles. Miscellaneous Other items include clutch forks, adjustment tools, clutch brakes including hinged and torque limiting, intermediate plates, clutch alignment tools, flywheel shims.